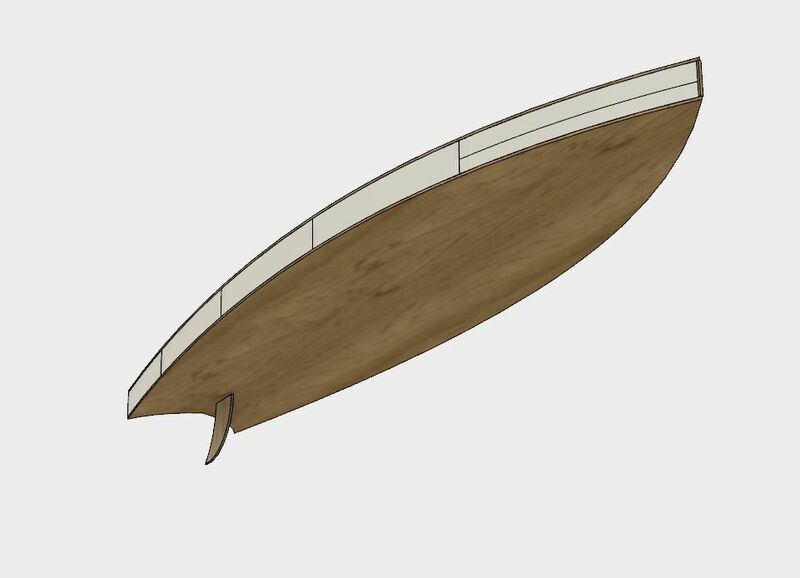 Before we kick off, the idea behind this build is making a simple SUP board that everybody can make. One of the things why i wanted to make a SUP unit is that not everybody has the sea near them for waves or lakes with big winds. So stand up paddleing is a lot more accesible as sports or activity than wave or wind surfing. So the idea was a 'simple' SUP board. In general a surf board is fairly simple already. But my thought was let's keep it even simpler in design and design it so that it uses materials from the home center and keep exotics materials to a minimum. So the first step was make it flat. I used two thin plywood sheets and keep those apart with EPS foam. 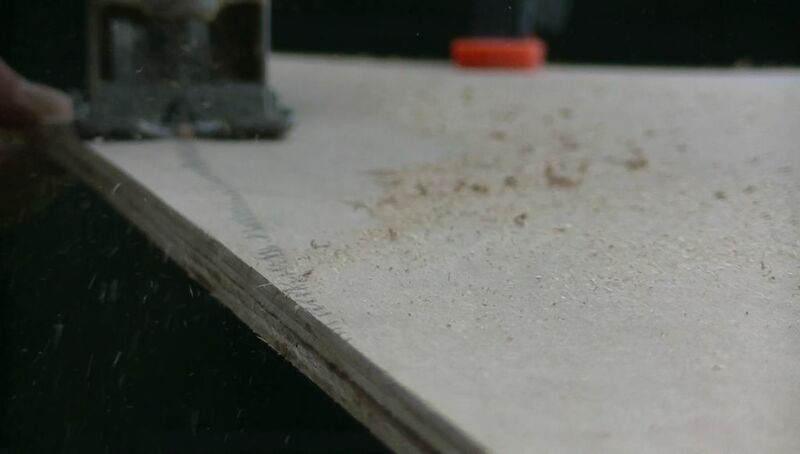 The plywood was 6mm or 1/4 inch. And the foam was 3/4 inch or 70 mm. Because the plywood and foam were a sandwich the distance between the plywood sheets will give the board it's stiffness. And because the foam has a low density it gives the floating capacity. These three parts are placed plainly on each other and in the middle of the board there is a 'rib' or 'upright' and the fin is in one piece with this upright. EPS foam is a common material for surfboards, a usual alternative is PUR foam. So I used one standard sheet of plywood, 4 by 8 feet or 1220 by 2440 mm, it needed to be broken down. In my situation a circular handsaw was the best option. I used a large parallel guide, but a chalk or inkline will work fine. You can keep the saw in a straight enough line. I used a jigsaw to remove material for the fin part. So you only need two saws for this project. The widest point somewere half way. The farthest point at the end of the fishtail. And the setback point of the fishtail. when those points were determined I drew a line as fluently as i could. ofcourse those line are not perfect but thats no big issue. When the lines are drawn and place on the plywood I clamped the sheets together and kept them firmly registered at the same spot. I sawed through both the sheets in one action with the jigsaw. And again that line was not as perfect as you would like it but that still does not matter. after that the sheets still are in place and the edges are sanded, at this point the all the errors made in the line can be corrected until i am happy with the shape. 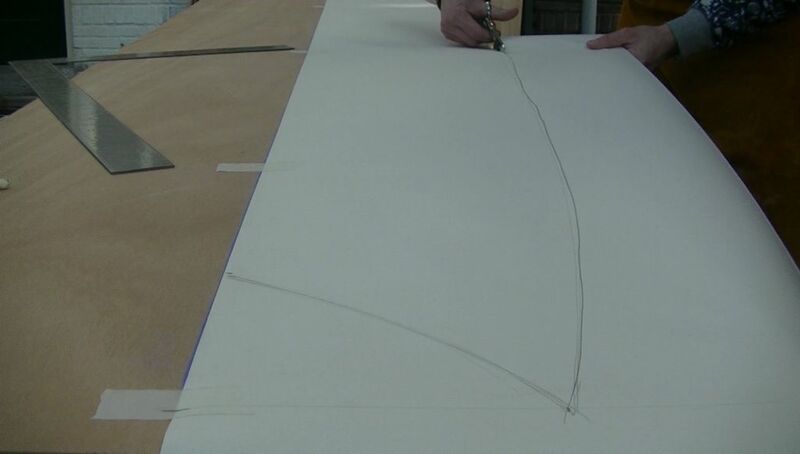 Before we can move on we need a thin mortice for the fin to pass through the bottom sheet. I simply made this with a few cuts of my chisel. A power router can work aswell, but that would take more time because you need set it up for a straight line. By now the all wood has been processed. For glueing the EPS and wood together I used polyurethane foam or PUR. This is a fairly cheap material with adequate strength, the strength difference between EPS and the PUR are unsignificant for this project. 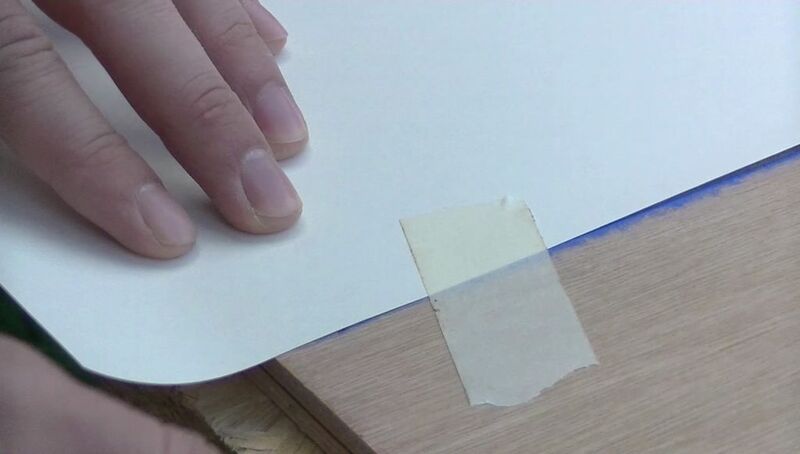 The EPS sheets were glued staggered to keep the joints between the material to a minimum. I had to work quick because the foam sets up quick and it tries to push everything away from itself so when curing I placed weights on the assembly to correct this. After assembly the excess foam can be trimmed away and I shaped it round with a rasp and course sandpaper. So one thing was inevitable; i had to use a thermoset resin (epoxy,polyester or polyurethane) to waterproof the whole thing. I chose Epoxy because its hard and strong and impermeable from wateringress. When the cups were mixed I mixed a small amount of sawdust in a small cup to fill up gaps from the assembly process. So I enveloped the board in one layer of glassfiber and epoxy, this added strength and robustness. This keeps the sandwich construction from delamination. I put on the epoxy first and then carefully dropped down the glassfiber from a roll above the board. after this it was impregnated and I worked out all the wrinkles and folds in the material. After the last step the epoxy has cured and i sanded the surface to a matte look and removed the sharp ends. it's wise to wear a respirator and protect your arms and hand from the sharp dust, you can get irritation from that. So one side is done now the otherside can be laminated. I made a little extra epoxy/sawdust paste to place on the 'root' of the fin and laminated a layer of glass fiber on the the fin aswell. This makes the fin a bunch more rigid. The front en and the points on the fishtail got one extra layer to make it more robust against dents and such. To be able to attach a cable or rope to the board; I threaded a long bolt through the complete assembly and screwed on a nut and eyenut. I used Loctite 243 to keep it in place. In my situation I used M6 thead, 1/4 Inch is a comparable size. I used WD40 to make the surface look more even, because I used one layer of glassfiber the surface finish was a bit uneven. When you want to make it more fance you would add a layer or multiple layers of epoxy lacquer and make it look high gloss. So it turned out it's not easy to stay standing on a SUP board for the first time :p My nephews wanted to help me out with testing of the board and eventually we made it work and could stand and paddle. Overall the board functions! it could be more stable if it was wider and for larger people it could be thicker but it still worked so i am happy this concept worked out! Great! This is something worth trying, as the price for a paddleboard here in the UK is around 500 UK pounds! Hi Alexei. thanks man! I am 63 kg and 1.72 m tall. Not that lage :p here in NL the prices are high aswell. They start from 350 euro's. Why not just "glass" the foam with an appropriate number of layers of fiberglass, and not use the plywood. I would think this might make the board lighter and easier to use. 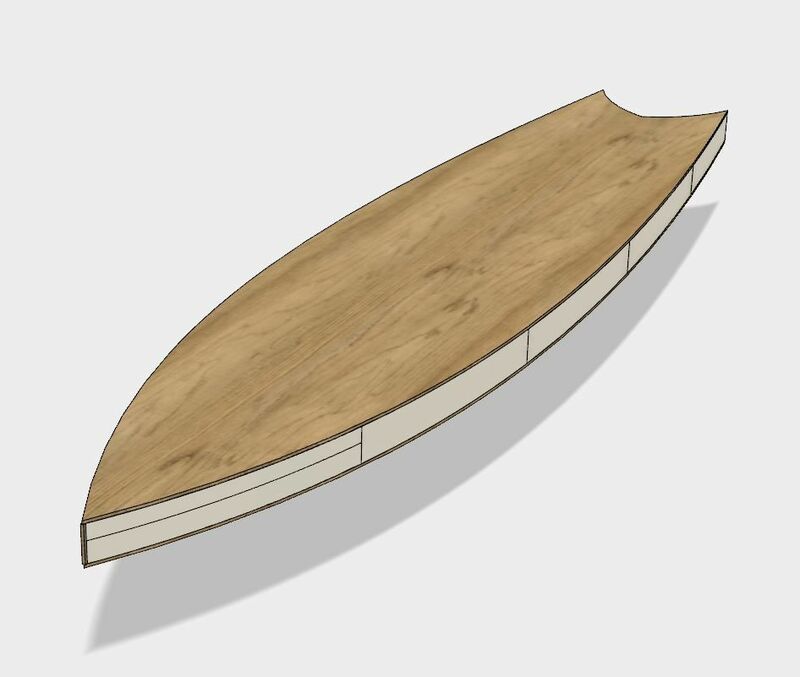 What do you consider the usefulness of the plywood to be, other than for rigidity? 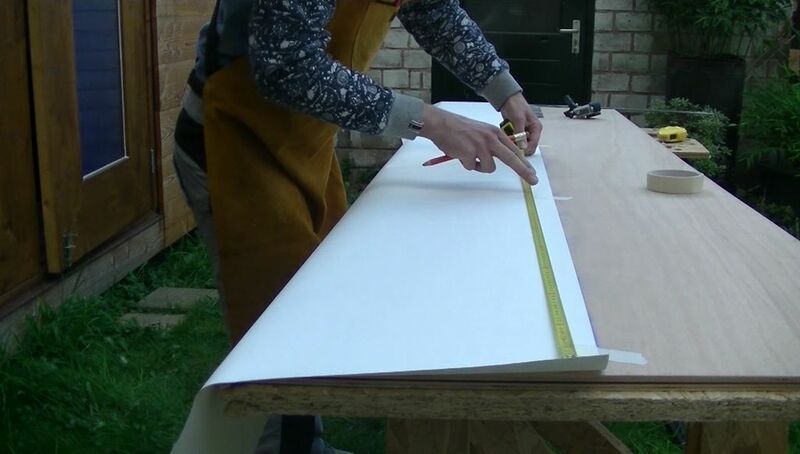 If you're concerned about stiffness, you could use a couple of plywood "stringers", placed lengthwise along the board. You could also drill holes in the stringers with a hole saw, with the holes spaced appropriately along the length of each stringer. 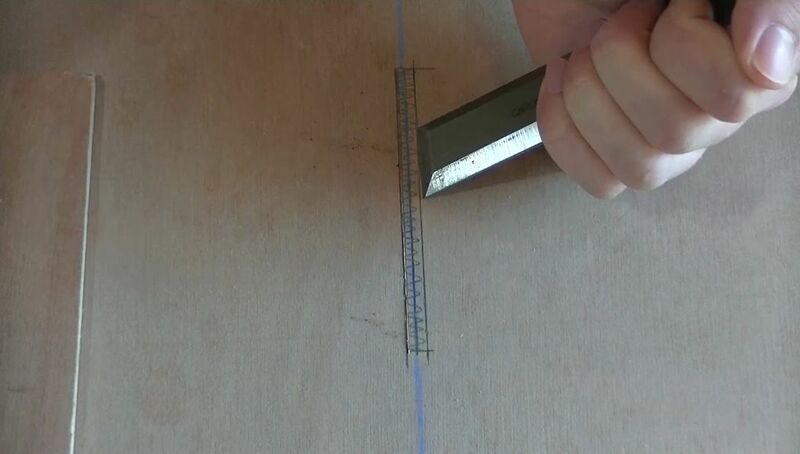 These "stringer holes" would allow the resin to pass through, and help in bonding the stringers and the foam to each other. 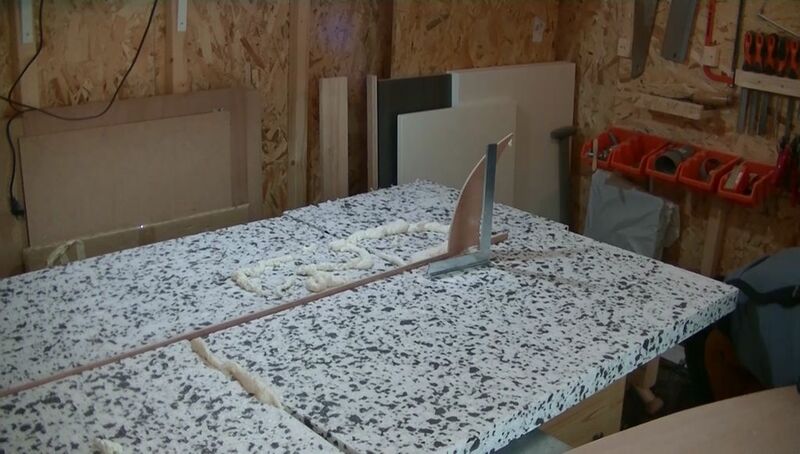 Not using the plywood on the top & bottom, would also allow you to do some additional "shaping" of the foam, prior to fiber-glassing the overall board. One last question: why did you use the "swallowtail" design for rear of the board, was it just for looks, or was there another reason? In my case adding shape wouldn't add any function because the board ony has to float. Adding shape to the foam would only deduct material and give less 'floating' capacity. The swallow tail has no function. Don't get me wrong, I think my design and project goal were just different from making an board via normal materials and methods. Thanks for the great questions. Nice, I wonder more about the dimensions and hydrodynamics, what would be the best shape and size to make standing up on it easier. Also in Finland we have a very good budget solution for this. 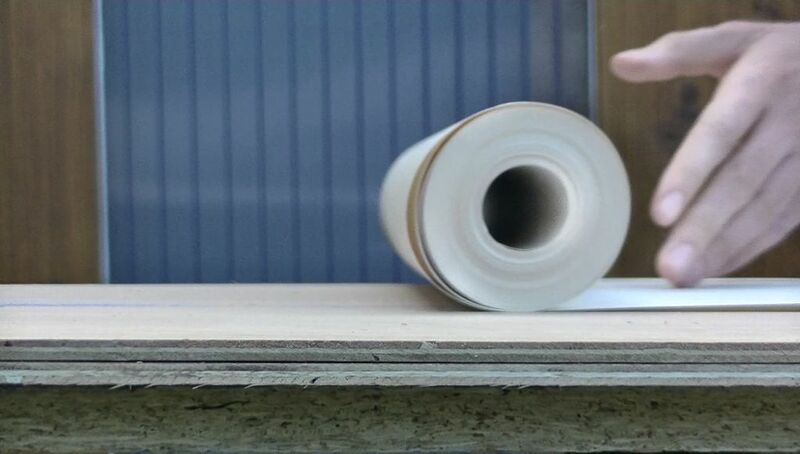 We have XPS foam sheets called "Finnfoam". They are available in different sizes but the 100x600x2500 sheet costs about € 15 piece and you can just throw it in the water and start paddeling. My kids do that all summer. Works pretty well for an adult also but the sheet bends a bit, maybe for adult use two wooden spars should be added for stiffness. The foam remains in good shape for a long time and could even be re-used afterwards. 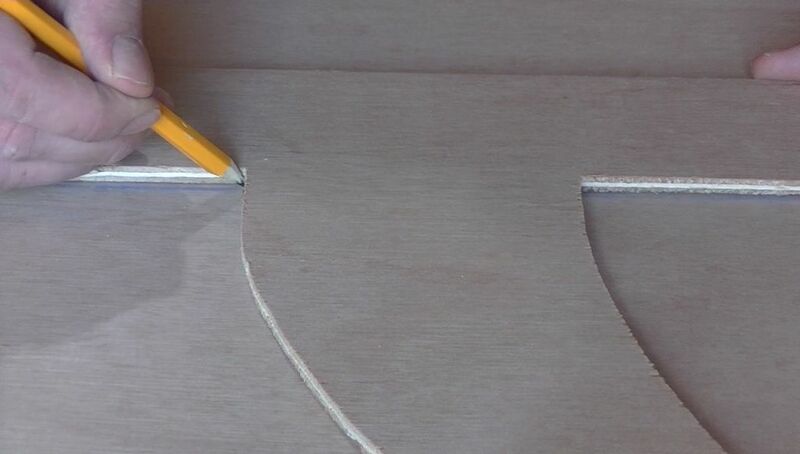 Also it could easily be shaped with a hot wire cutter, rasp, saw, cutter, etc. Thanks! ok cool! Sounds like a solid base for a paddle board. We don't have that everywhere. I had to go to a specific EPS foam manufacturer if i wanted to organize something like that. Wonderful! Being a surfer and "shaper" I applaud your efforts. Though your board could have benefited from more research on surfboard design, it's great to see you just have a go at it and learn by doing. Quick tips for v2: longer, wider, thinker, square tail, just a little rocker up front, forget the plywood and use more fiberglass. Hi yeah thanks! ofcourse the board could be better, thanks for the tips! Even styrene foam comes in multiple grades and densities. In general EPS is the stuff made from individual beads. When you cut it you have beads everywhere. XPS is cast in the sheet. When you cut it you have really lightweight saw chips. Don't use EPS for anything structural. Here EPS is marketed at Home Depot as 'bead board' and is always white. You can see the bead structure in it. XPS is either blue or pink, and you can see a much finer structure. Picking up a sheet it's much stiffer. For people who want a larger board, specialty wood shops can get plywood in 10 and 12 foot lengths. If you make it 8 foot sheets, you will have to laminate. This will nearly double the weight of your board. You can get Baltic Birch plywood as thin as 1/8" but it's pricey. The notch at the back will create drag. The minimum drag shape will be asymmetric with the wide point about 40% of the distance from the front. If you want to find out if you like stand up paddling, a solo canoe works well, and can be rented easily. It has other possibilities too. 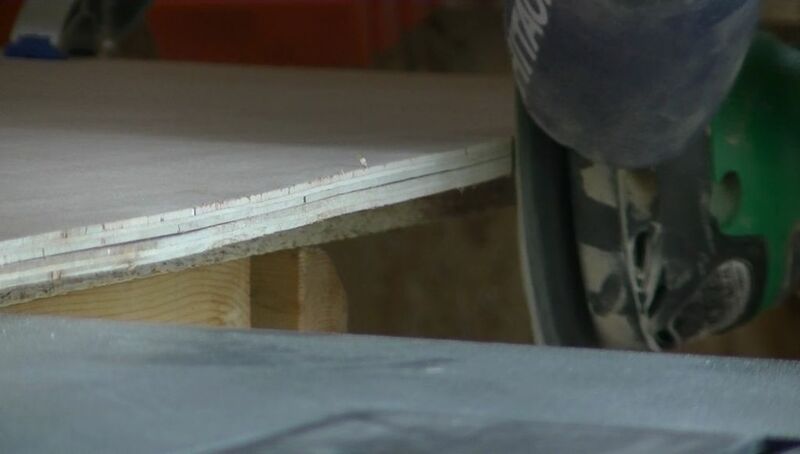 with the eyenut step t recommend drilling a larger hole than needed then filling that with epoxy then drilling the proper sized hole to prevent any chance that water can come in contact with the wood and rot it. this is a method i learned in a book on making kayaks. Oh yeah that would certainly be better. thanks! I think that polyester resin would eat some types of foam, but marine epoxy resin (urea formaldehyde based) would not. Polyester resin is cheaper but I wouldn't use it because it smells terrible and it's not as strong. I like this design although I think it should be a little thinner and longer and wider. Thanks david, the board could certainly be better if it was longer and wider. Your welcome! As david is saying, an epoxy resin work great with EPS foam but polyester resin will eat it away. 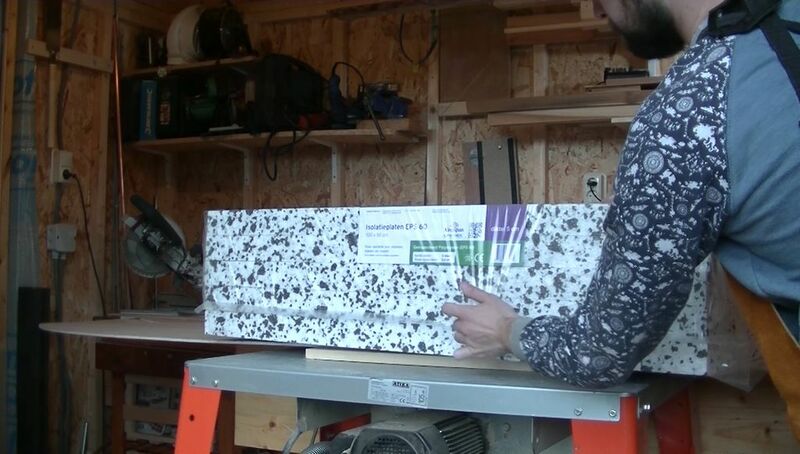 Epoxies do not affect Closed Cell Polystyrene foam neither does Polyester resin. Most problems come from people adding Acetone to 'thin' the resin to spread it easier. Haha Hi seamster, i know how it goes. Thanks!